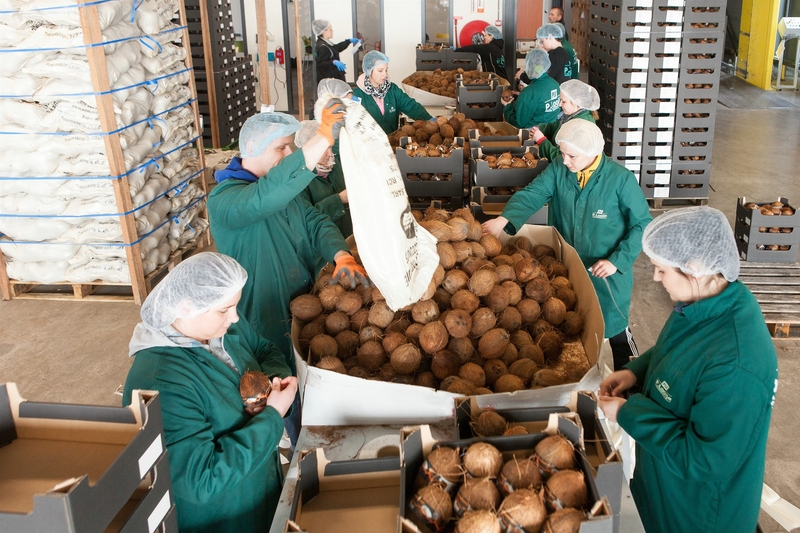 Van den Bos Freshpartners has the necessary in-house knowledge to sort, package, and repackage fruits and vegetables. We work with temporary staff members who specialize in packaging and repackaging fruit and vegetable products. These staff members receive internal training and work in accordance with our high quality standards and food safety standards. The guidelines from the various certificates we hold are applied by all staff members. Are you looking for someone to sort and package your fruits and vegetables? We sort and package your import and export fruits and vegetables in accordance with strict quality and safety standards.